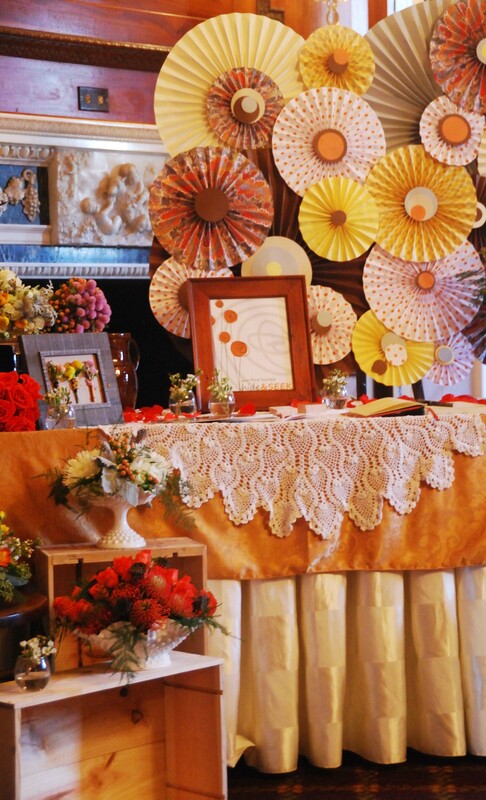 Many of you have been awating the pictures from our recent bridal event at Spindletop, an old historic mansion set amongst the rolling hills of horse country. 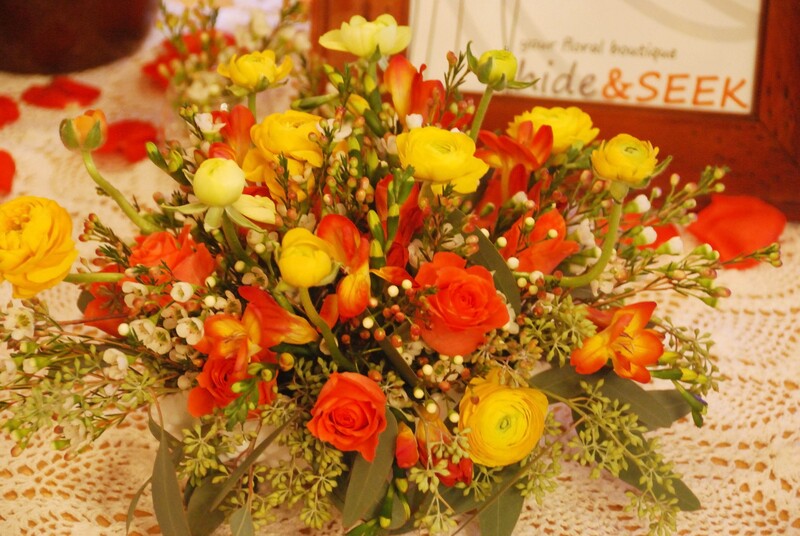 The event was truly done with class! 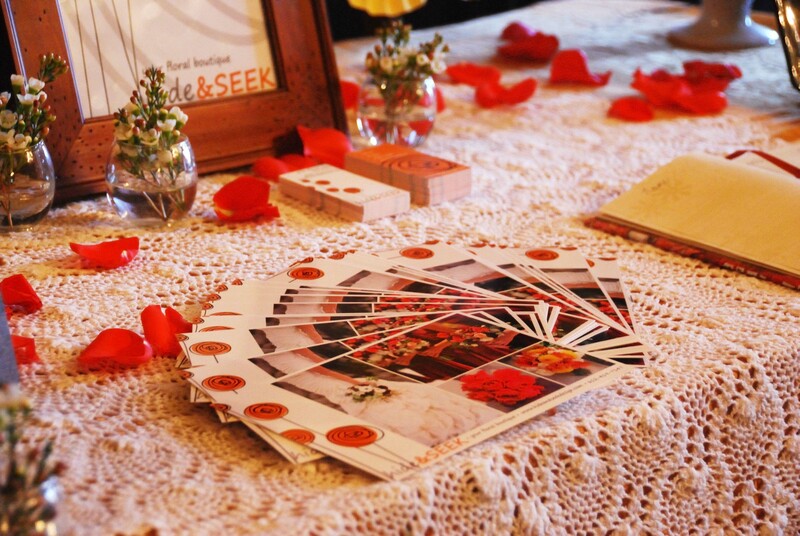 We talked creative design with tons of brides and met awesome vendors from the area. 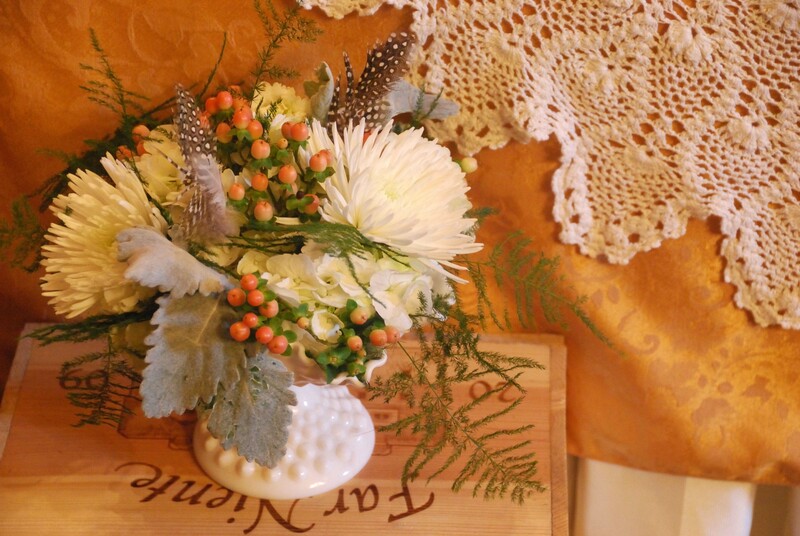 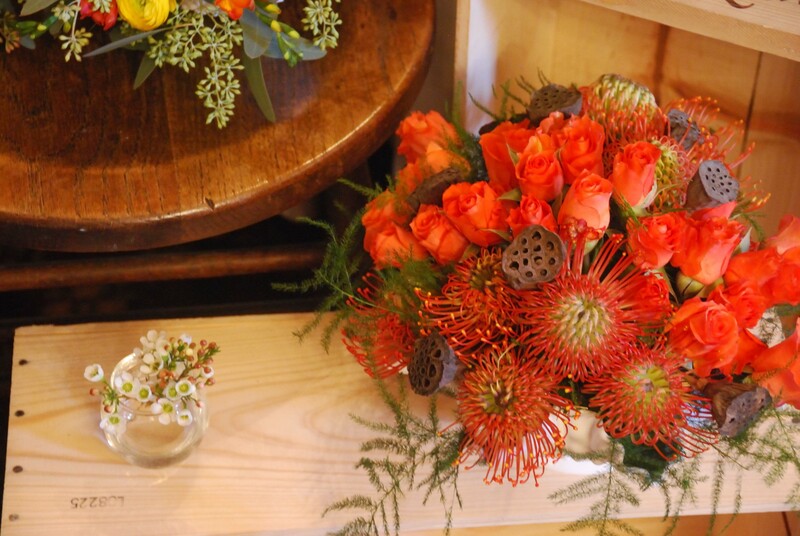 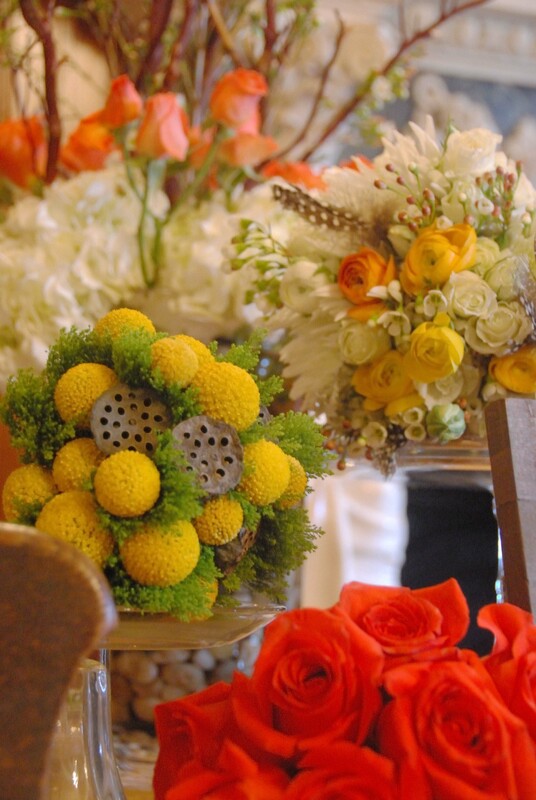 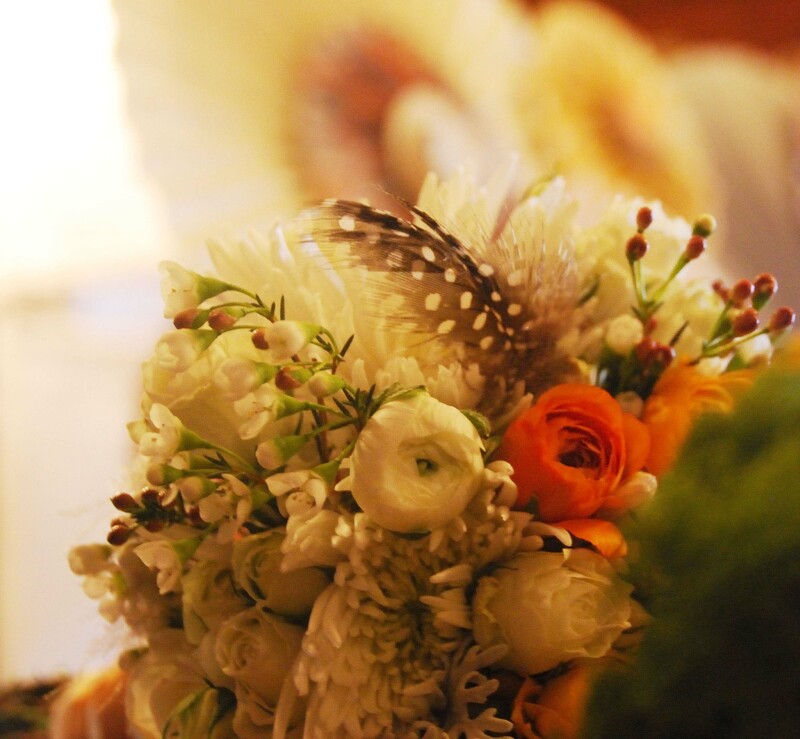 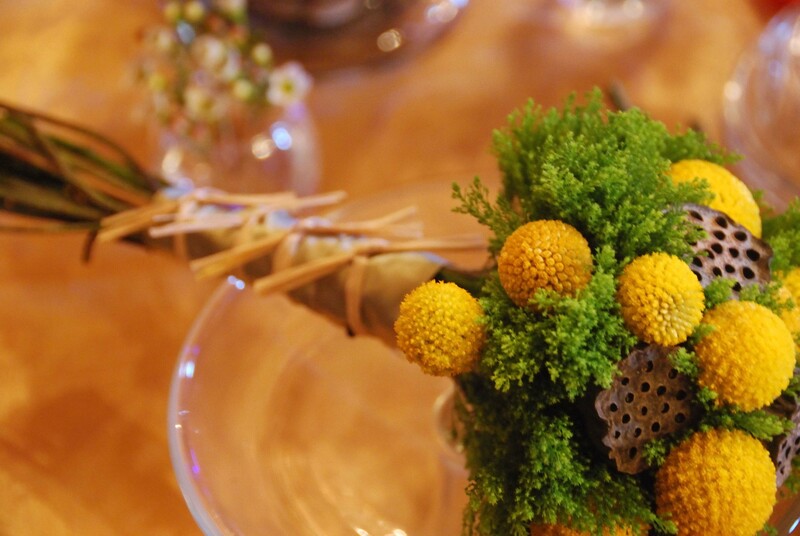 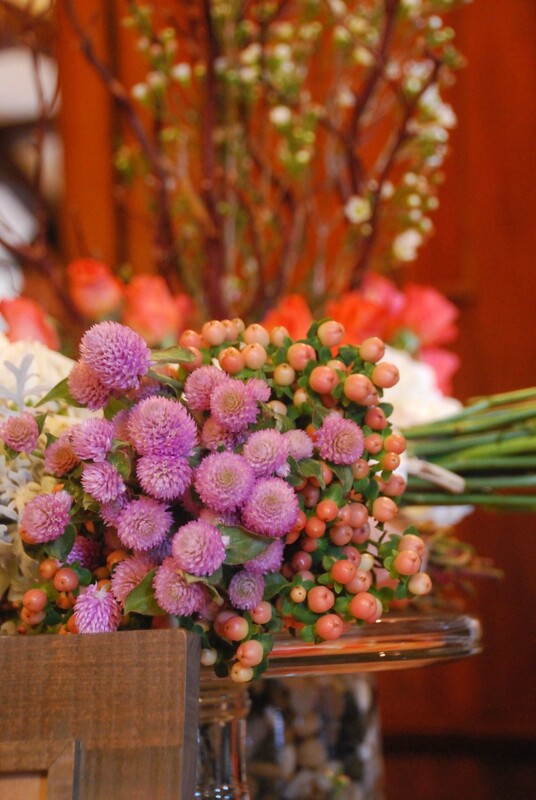 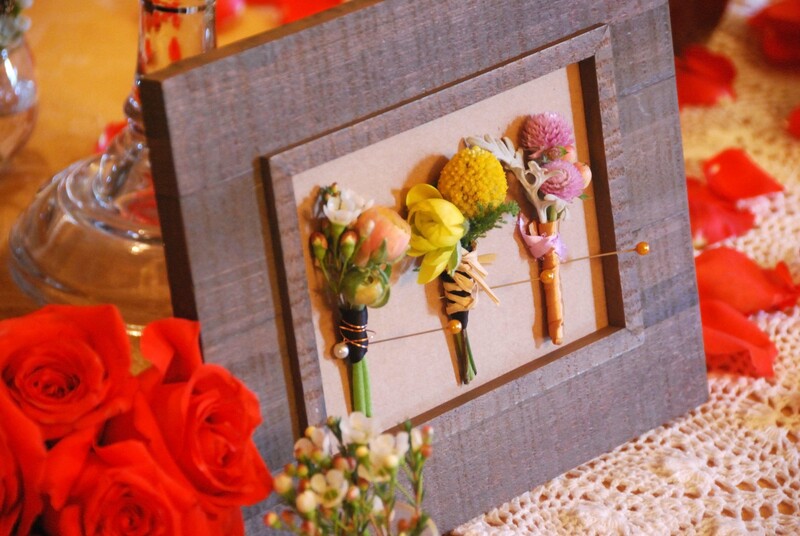 With a love for rustic design, all our bouquets and arrangements had wonderful texture and a warm country feel. 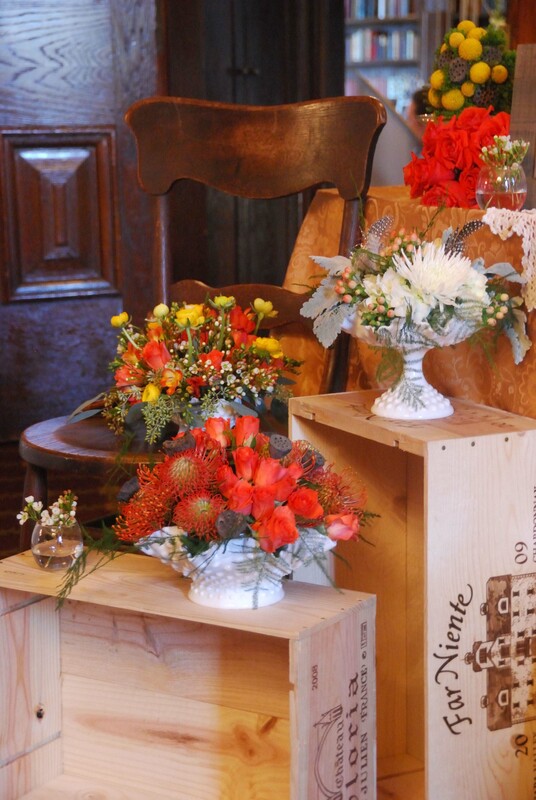 Wood wine boxes, milk glass, mason jars and an antique chair were all worked into the set up. 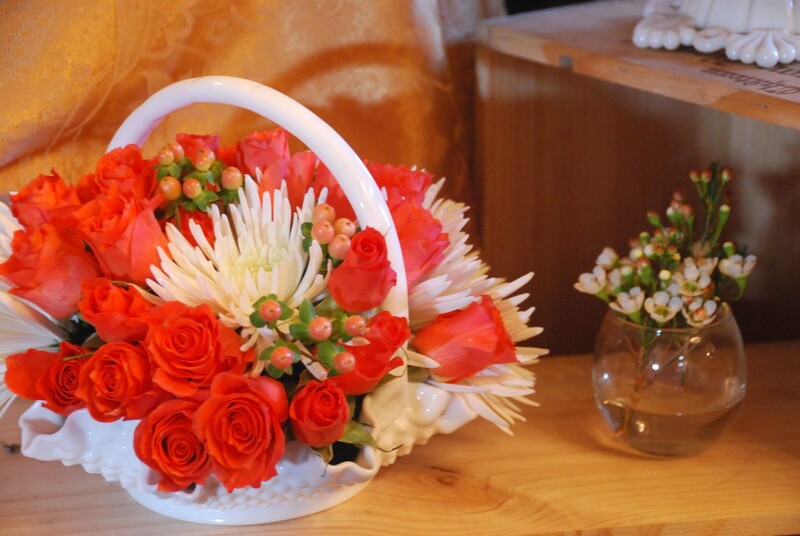 The color? 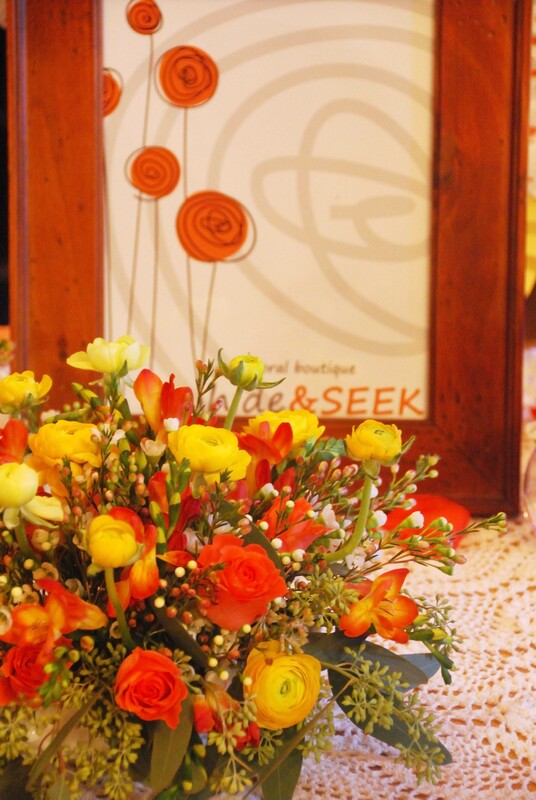 Well, the Pantone Fashion Color Report (Spring 2012) calls for a popular tangerine hue and our business logo contains orange. 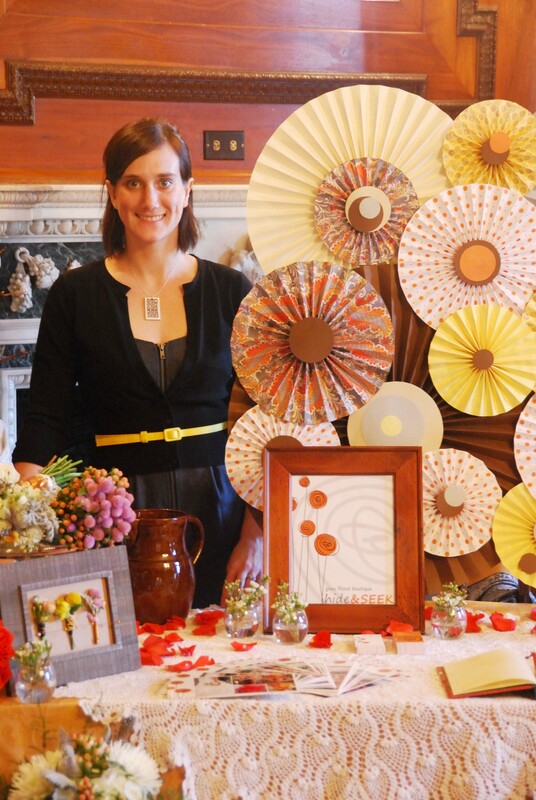 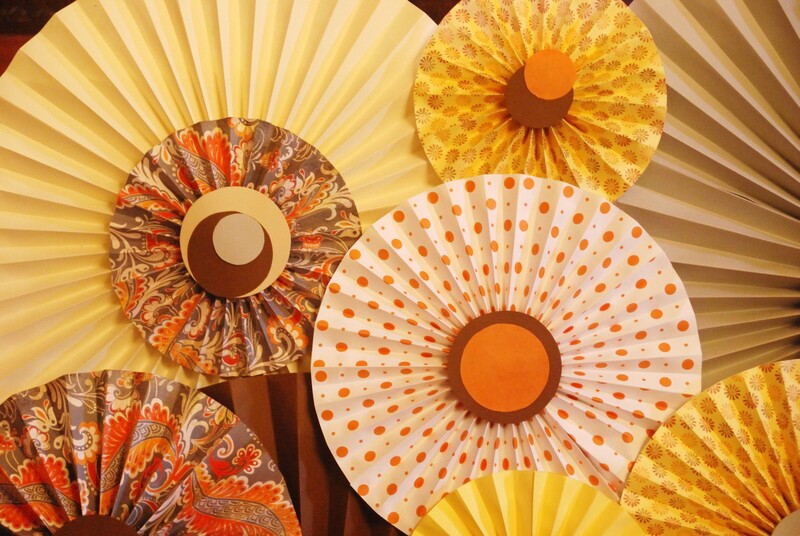 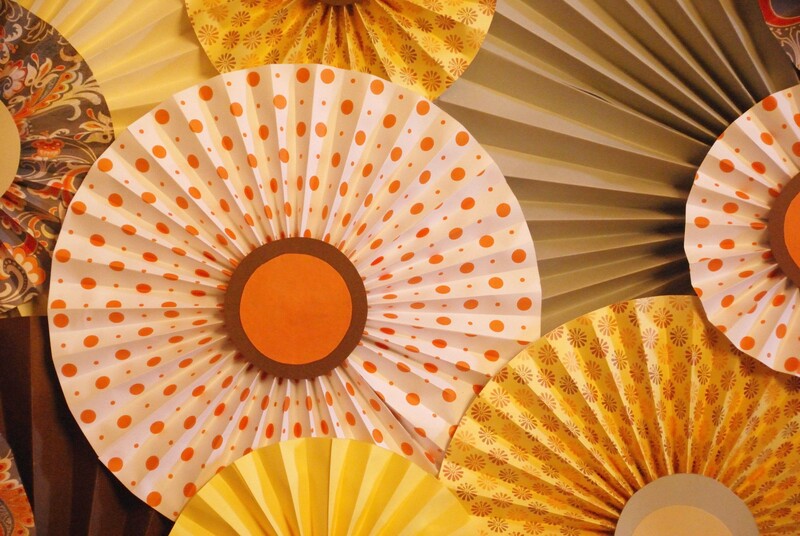 Also, our paper crafts were also a huge hit and have already been requested by brides for their 2012 weddings! 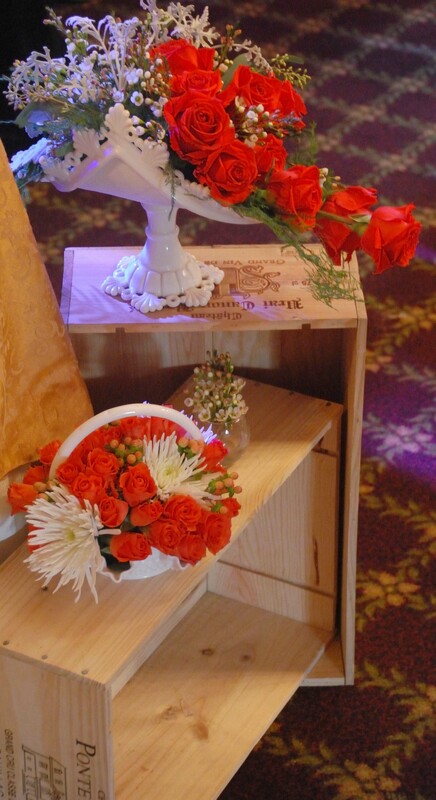 Enjoy the pictures, and if we have not already heard from you since the show, we look forward to being in touch soon!